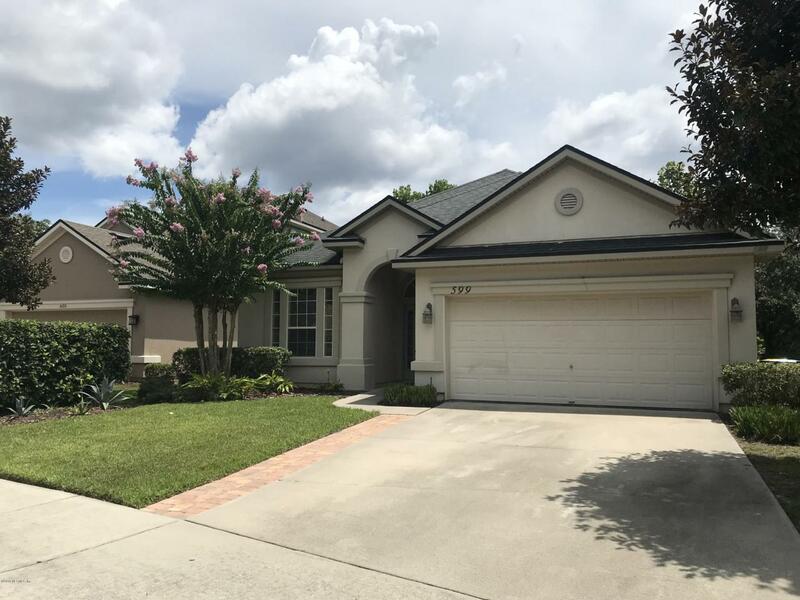 Spacious, light and bright, well-maintained 4 Bed/2 bath plus office home in desirable Waterleaf community. Open floor plan, high ceilings. Deluxe owner's suite with soaking tub, double sink vanity and stand alone shower. Huge living room with separate dining room. 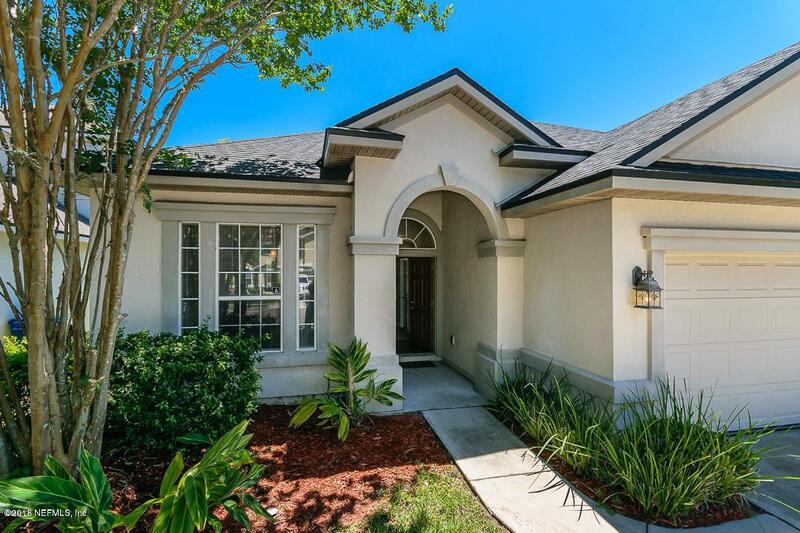 Open kitchen with stainless appliances, granite countertops, 42in cabinets and crown molding. Lots of closet spaces! Relax at the new, built in 2017 screen porch overlooking the lake during the day or enjoy spectacular view during the night surrounding with night lights. Energy efficient split system HVAC. Sprinkler system for easy yard maintenance. No CDD fees. Amenities Include Community Pool, Tennis Courts, Playground and Picnic Area. 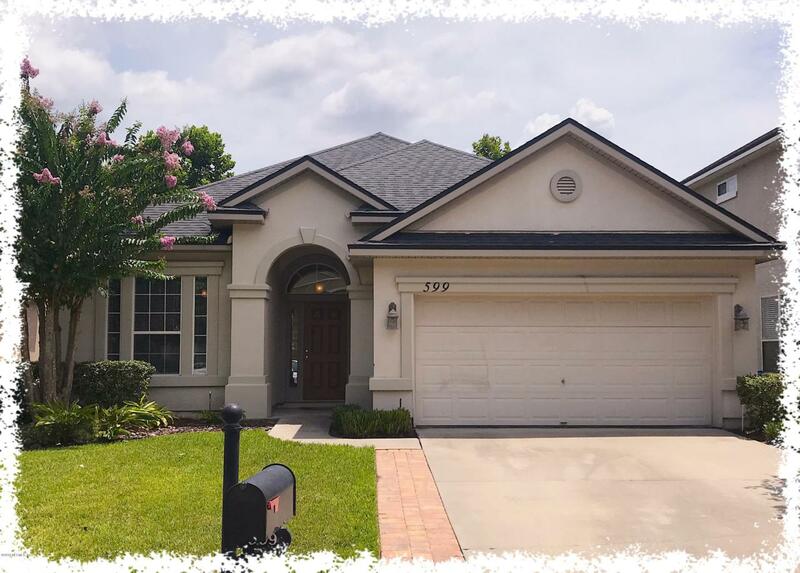 Convenient to the Atlantic Beach, St Johns Town center, Restaurants, UNF and FSCC!WHY IS 599 CANDLEBARK A SMART CHOICE? Because this house is about convenience, popular location and a great neighborhood! It is situated near a beautiful pond and trees, and just 7mi away from Atlantic Ocean. The nearby shopping center and variety of small business is a huge plus. 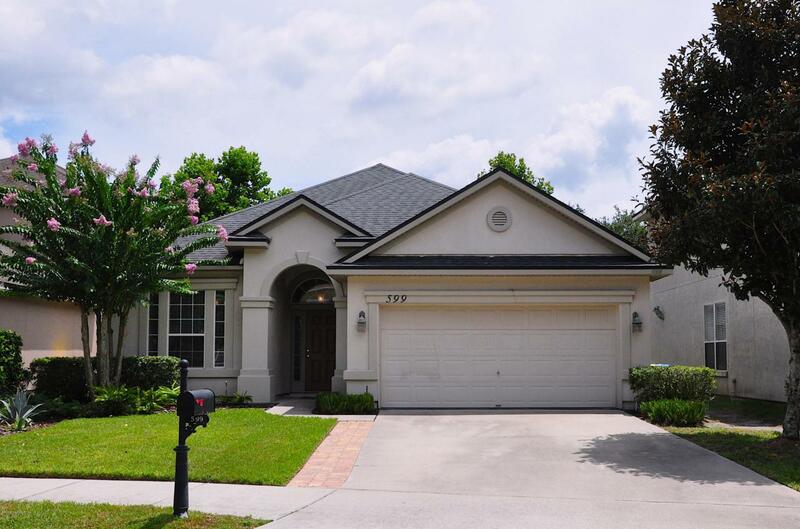 In addition, the house is within a short walking distance to the Waterleaf Elementary School. Recently built screen room with night lights, excellent back yard view with fruit bushes " all waiting for enjoyment for a new home owner, and, by the way, it also newly painted outside. Some appliances and furniture can be left either for free, or, with a fraction of the cost. This house might not last long. Do not lose the chance to become the lucky buyer of this spectacular dwelling.